Itâ€™s quite possible that this song is the â€œSliding Doorsâ€ moment that put me on the musical path that I would ultimately follow. This is strange, when you consider that â€œYour Imaginationâ€ is the fourth, overlooked single from the bandâ€™s 1981 mega-hit Private Eyes album â€“ and the only single of the 13 singles the band released in a four-year span that didnâ€™t crack the Top Ten â€“ but the video for the song featured something that I had never seen or heard before: an extended version of the song. This mix itself is nothing special â€“ it has your typical instrumental build-up and a mix-out point for the DJ â€“ but that hardly mattered. The mix opened up a whole new world of possibilities to me. You mean there are people who take a finished song and then screw around with it? Thatâ€™s awesome! I proceeded to spend the rest of my high school years as that kid who took his records, which by then consisted mostly of 12â€ singles rather than albums, and made his own versions of the songs by hitting â€˜pauseâ€™ on the tape deck at just the right time. Itâ€™s a miracle that I ever managed to kiss a girl before college. 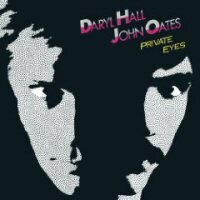 Hall and Oates would go on to use 12â€ mixes of their tracks for several other videos, including â€œFamily Man,â€ â€œSay It Isnâ€™t So,â€ â€œAdult Education,â€ â€œMethod of Modern Love,â€ and particularly â€œOut of Touch,â€ where the band had moved far enough up the remix chain to have their songs mixed by WLWâ€™s all-time favorite, Arthur Baker. (His dub mix of â€œOut of Touchâ€ is pure batshit crazy genius.) By that time, I was officially down the remix rabbit hole â€“ ask anyone who knew me back then, theyâ€™ll tell you, and some of them will use rather strong language â€“ and I stayed there until approximately 1995, when I woke up one day and realized that the scene had left me behind. (Insert Abraham Simpsonâ€™s â€œI used to be â€˜with it,â€™ but then they changed what â€˜itâ€™ wasâ€ speech here.) Still, it was a pretty good run while it lasted, and I discovered tons of bands that I otherwise would never have heard. Only now do I realize that I have Daryl Hall and John Oates to thank for this. Go figure. Here’s the video that started it all, for better and for worse.